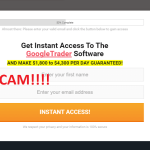 Vena System Review - Another Scam? Yes! We Have Proofs! 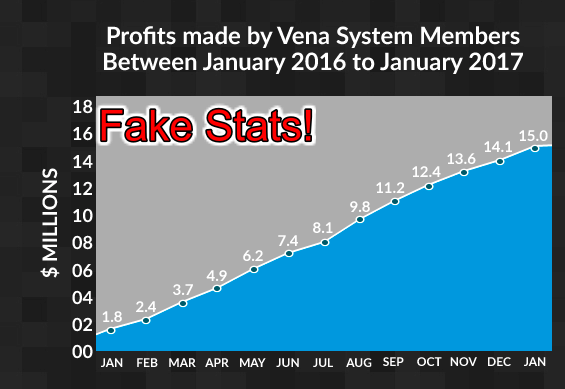 In this review, you will see why the all-new Vena System is a scam. Its creator Marc Vena does a good job trying to look convincing and genuine, we must admit. But, he is inviting you to an ugly scam, and we are sure of that. The Vena System which goes by Marc’s last name looks appealing but a closer look and inspection yields a different story. There are many details about the software which are either hidden or manipulated. We suggest you read our entire review to find out what information we discovered that led us to call the Vena System, a scam software. 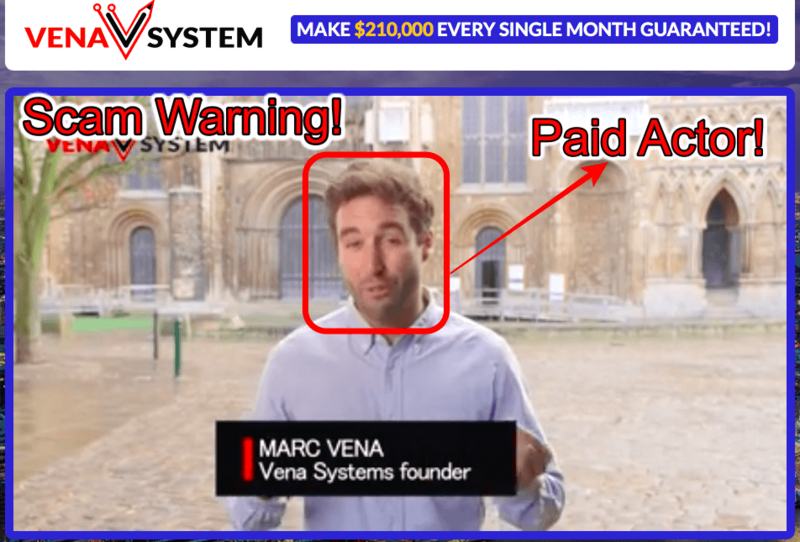 The Vena System Review – Scam Warning! The video features a young man Marc Vena who introduces himself as the founder of the Vena System. He tells us to be based out of London, where his system started. Driving an Aston Martin, Marc reaches a couple of his members to show us their incomes using the Vena System and to introduce them. The two ‘friends’ he visits are allegedly among the few lucky people who managed to join Marc’s inner circle. He tells us how he plans to grow his inner circle but would limit it to only 50 members from ‘all four corners of the world.’ According to him, only a few spots remain out of the 50; around 21. He tries to project himself as a polite and principled man, citing out his three tenets twice in the video. Marc states that the users have been making $1.8 million yearly and over $150K per month. The Vena software makes over $5,000 every single day; we learn from Marc. Marc takes us to the homes of two very ‘special’ members we mentioned earlier to discuss more on the software and their lives. The profits earned by the two members have also been disclosed, and their trading accounts shown purposefully to lend credibility to Vena’s claims. Jane, the single mother of a special child allegedly earned over $35,000 by the ‘eighth day’ of her using it. The other user Graham, who speaks rather too pensively and does seem genuine because of his age, allegedly earns over $7,000 on an ‘average’ day. He has been using the software for over a year and had an extra liking for the auto-trade button. Marc called himself as a leading online mentor and used to be a wholesale currency buyer. His job was all about market forecasts and one day Vena System was just ‘born.’ He has set out on the path of showing ‘normal’ people the path to financial freedom and helps make a difference to their lives. He says how he dislikes hogging the limelight and stays away from tabloids and such stuff. Interestingly, he seemed to be totally absent and was nowhere to be found when we tried searching for him. Does anyone with the name Marc Vena exists? We certainly think not! A person who claims to have made so much money that it no longer matters to him ought to have a mention at least somewhere! The Vena System is a SCAM! All the statistics and the facts presented in the video point to just one thing. It’s that the Vena System cannot be trusted, at least not on the profits part. The daily profits figure of $5,000 changes to $7,000 from Jane to Graham. While Marc himself mentions that they all make the “same amount of money.” There has been no mention of how the Vena System came into being. In Marc’s own words, it was just ‘born’! The software he says uses his knowledge about currency exchange rates. The Vena System allegedly makes money when the market is uncertain. How? What gives the software this special ability to it; common sense? We are not buying this reason! Common sense is not that rare a sense that Marc is so sure that only he is among a few ‘smart’ ones. Haven’t we seen all the sympathy seeking drama many a times in other scams too? Jane’s life of being a single mother to a differently abled child and her house hunting are just instruments to generate sympathy and belongingness. The amount of money the Vena System is advertised to make is simply unreal. No software can make over $5,000 daily over and over again. Even a slight experience in trading is sufficient to debunk this claim. The Vena System scam website has a section where Vena’s trading account has been put to display his trades over a couple of months. The chart provided a good opportunity to us to analyze it. 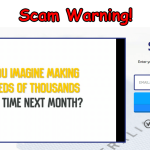 As expected, we came across some foolish mistakes on the scammers’ part. It’s not a secret that the markets are closed on Christmas and New Year. Marc seems to have traded even on holidays and won too! What a joke it is. It needs common sense to become like Marc Vena who has it in plenty, and certainly some thought and diligence. The scammers did a careless mistake in putting up that fake account. It only led us to expose their hogwash. It’s quite certain that the scammers have just proposed the 50 member limit as an eyewash. After all, why would the scammers limit themselves to just 50 new members when they have invested so much money in producing the Vena System pitch video! You’d continue to see the video and the website up for months to come but it would appear as if they are not able to take in even 21 more members. The FAQs section mentions the requirement of only 17 new members. There is no consistency in even the lies that the scammers speak. Verdict – Vena System Is 100% Scam. Avoid It! The Vena System is just another dirty scam designed to trap you. Our review should be sufficient for you to look through all the lies served out by the scammers. The Vena System is definitely something you could do away with. Just ignore all the email spam you must be getting and warn your friends and family as well. 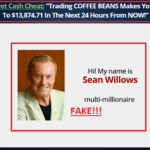 Profits Infinity Review | Is it a Scam or Trusted?? Google Trader Review!! It’s a SCAM!! Not Supported by Google! Ofcourse there are some genuine trading robots (that’s the only reason such scams are getting created).